The Tŝilhqot’in community of Xeni Gwet’in is assembling for a peaceful gathering and harvesting camp at Teẑtan Biny (Fish Lake) and Yanah Biny (Little Fish Lake), a place of profound cultural and spiritual significance for the Tŝilhqot’in people. This peaceful gathering and camp has the full support of the Tŝilhqot’in Nation. For over a decade the Tŝilhqot’in have been fighting the development of an open-pit mine in this area, which is separate and distinct from the lands the Supreme Court of Canada acknowledged Tŝilhqot’in title to in 2014. It is located in the proposed Dasiqox Tribal Park area and proven Aboriginal Rights area. “We welcome everyone up to Teẑtan Biny and Yanah Biny that wishes to gather peacefully in this sacred area,” says Nits’ilʔin (Chief) Joe Alphonse, tribal chairman, Tŝilhqot’in National Government. On August 23, 2018, the BC Supreme Court upheld a permit authorizing Taseko Mines Limited (TML) to undertake an extensive drilling program at Teẑtan Biny and the surrounding area. The Tŝilhqot’in Nation has appealed this decision and will be seeking an injunction to prohibit the drilling activity. The drilling permit approves 76 kilometres of new or modified road and trail, 122 drill holes, 367 excavated test pits, and 20 kilometres of seismic lines throughout Teẑtan Biny, Yanah Biny, and Nabas. The Government of Canada rejected TML’s New Prosperity mine proposal in 2014, and the mine cannot legally be built as matters stand. Two independent federal panels have confirmed the area is of unique and special importance to the Tŝilhqot’in. 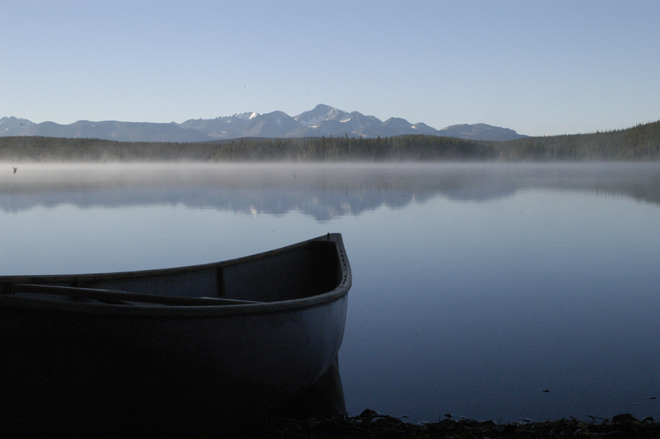 At the same time, Tŝilhqot’in members from all six communities of the Tŝilhqot’in Nation are gathering in unity at Teẑtan Biny and Yanah Biny to exercise their Aboriginal rights and engage in the cultural and ceremonial practices that have actively connected them to these lands and waters for centuries. The Tŝilhqot’in Nation asserts that the drilling permit should never have been approved on the final day of power for the former BC Liberal government in July 2017, to support a mine proposal that the federal government has twice rejected. Nits’ilʔin (Chief) Jimmy Lulua, Xeni Gwet’in First Nations Government, says the group held an emergency meeting of the Xeni Gwet’in elders, members, and youth to discuss this issue. At the end, each and every person who attended at the full band hall approved a peaceful gathering at Teẑtan Biny and Yanah Biny, to practice the Nation’s rights, to harvest food, and to hold ceremonies. Show your support for Indigenous-led conservation and make your voice heard. To pledge your support for Nexwagwezʔan – Dasiqox Tribal Park please sign the online pledge emailing elected representatives at: http://dasiqox.org/support-us/take-action/?sp_ref=441213146.392.190661.f.0.2 Donate through: www.tsilhqotin.ca.